Enhance any room with the rich, warm, natural ambience of real wood. 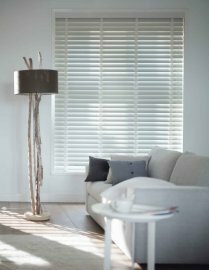 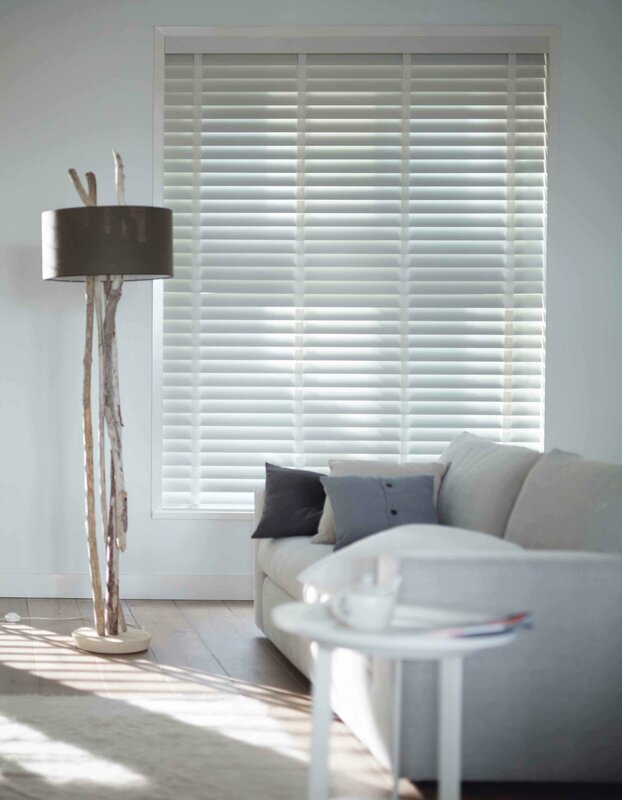 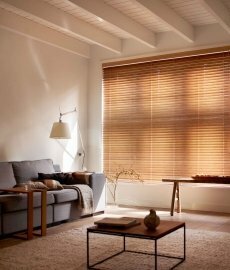 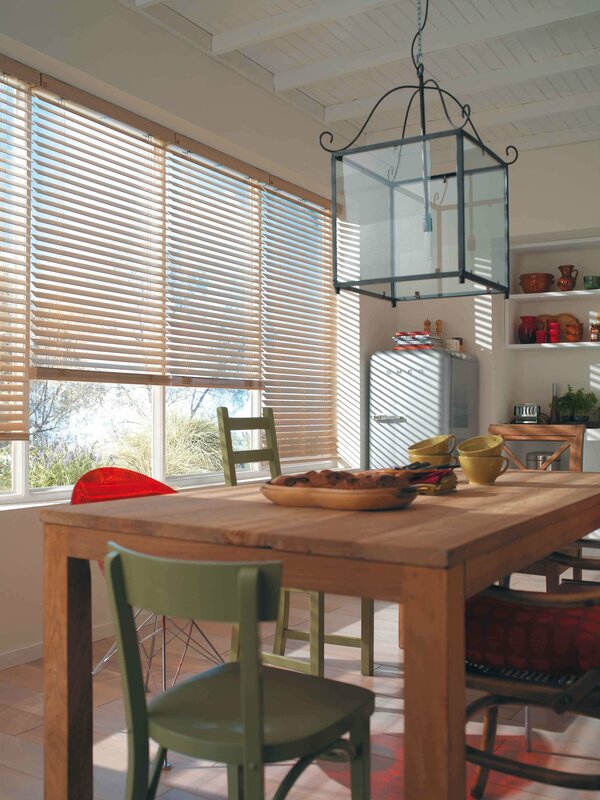 Wood venetian blinds are available in 25mm, 35mm or 50mm slat sizes with a choice of colour co-ordinated tapes/cords. 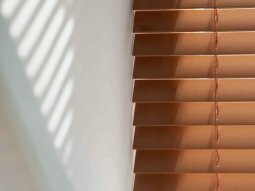 The wood used in our wood venetians is North American bass wood because it is easily sustainable, very light and stable. 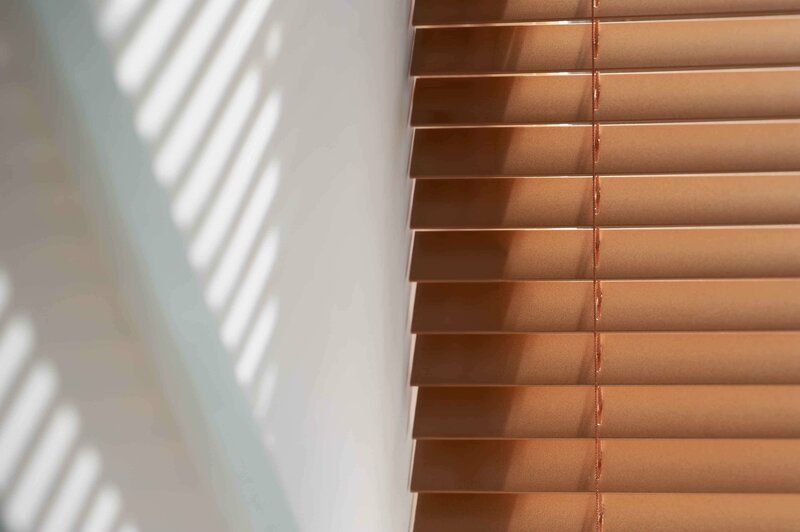 All slats are stained and finished with a diamond finish to eliminate fading and scratching and the wood is seasoned for six years before being cut for use in the blind.